Ellis, Kathryn. Home in Time for Dinner. Markham, ON: Red Deer Press, 2012. Print. From the author of the book Degrassi Junior High and scripts for the original Degrassi Junior High television show, comes a story about a thirteen-year-old boy who has grown up in Texas, not knowing that is father had abducted him from his Canadian mother in a nasty divorce and custody battle. Ellis is definitely in tune with teenage boys. She flawlessly takes the reader through Chris Ramsey’s discovery that he is one of the “missing children” profiled on television, his plan to escape and his flight to Canada. By presenting the story through Chris’s eyes, Ellis draws the reader into the world of a confused and distressed, but determined teenager. Ellis masterfully responds to all of the obvious objections to the events in the story. Why doesn’t Chris just go to the police? His father has taught him to fear and avoid the police. Chris makes terrible errors in judgement on his journey, but we know that his father has always controlled him, and not allowed him to make decisions, so he has little experience with it. Remarkably, his mother still lives in the same apartment in Kingston, but Ellis tells us that she’s been waiting for him to return. So while, objectively, the plot is too tidy, it doesn’t seem that way when you are reading the story. The one point that really stretches the suspension of disbelief is Chris’ being easily smuggled across the border. While the plot line is simple, Ellis has a knack for getting at the essence of a situation in just a few words. 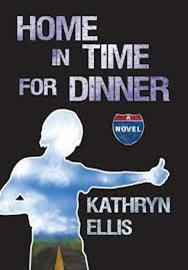 Whether the alcoholic former preacher who gives Chris a ride, the manipulative Moth who gives a him a place to sleep and then robs him or the moment when Chris’s mother recognizes her child who has been missing for years, Ellis creates unforgettable characters and scenes. This is one of the best young adult novels that I have read recently. It is not a high literary work, but it is a good read and would be a great addition to public and junior high school libraries. Sandy is a Health Sciences Librarian at the University of Alberta, who has written hundreds of book reviews across many disciplines. Sandy thinks that sharing books with children is one of the greatest gifts anyone can give. The Deakin Review of Children’s Literature is an electronic quarterly review of contemporary English-language materials of interest to children and young adults. Of particular use to librarians, parents, teachers and anyone working with young people, we also publish news and opinions relevant to children’s literacy. that making research freely available to the public supports a greater global exchange of knowledge.